When Rules of Survival (Free) first launched, I didn’t have much hope in the game because of just how mind-blowingly confusing NetEase’s strategy was. Along side one Playerunknown’s Battlegrounds knock-off, they also released two more nearly identical games: Knives Out (Free) and Survival Royale (Free). Why they didn’t just pool those resources into one really good game is a mystery to me, but it seems like over time Rules of Survival has come ahead as the NetEase PUBG clone that’s most worth playing. It got a massive update this morning, but if you were waiting for an update to pop up on the App Store to start playing, it doesn’t seem you need to do that- The game magically updates itself by downloading around 50MB when you launch it today. The biggest feature of the update is the addition of the Fearless Fjord map, a brand-new 64 square kilometer map. You also download this in game by going to play, and attempting to select the new map. This will trigger a 340MB download to be able to play Fearless Fjord. Once you do, things get pretty awesome. 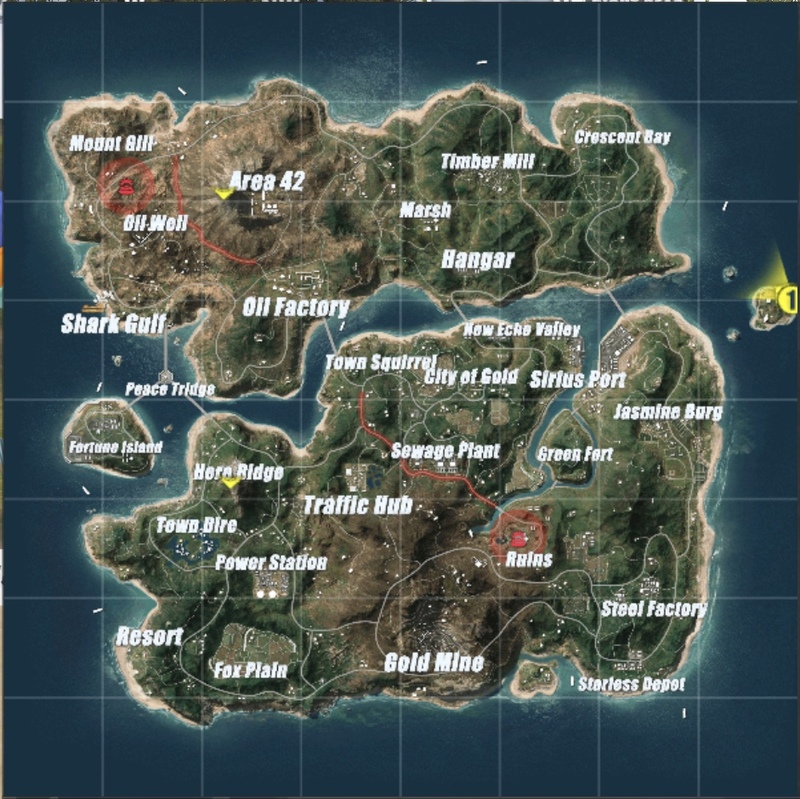 Because the map is so huge, solo mode packs 300 players together. This causes the cadence of matches to be really odd as with 300 people dropping from the plane path, practically every conceivable location is a total blood bath. Assuming you survive the initial onslaught of grabbing any gun you can find and fighting for your life amongst all the other people who dropped near you, it doesn’t take much more than a couple minutes for 2/3 of the players in game to be dead. Then, the game shifts into a highly tactical sneak-fest, as the last remaining 100 or so have farmed up all kinds of great gear from loot boxes who then spend the rest of the game crawling around with totally kitted out rifles. Once you master Fearless Fjord, there’s loads of surprises to be found including zip lines all over the place, a hang glider that can seat up to five players, and a new hovercraft that can go over both water and land. It’s really sort of unbelievable just how cool this new map is. There’s also a Valentine’s Day event rolling now which… honestly doesn’t make a whole ton of sense to me. The plane has been reskinned, bandages have been changed to roses, and there’s some way that you can write love letters to other players? Of course with any event, there’s loads of new missions to complete for a ton of exclusive in-game cosmetic goodies. If you haven’t given Rules of Survival a try yet, you really should. There’s a bit of a learning curve which can be smoothed over a bit by first reading our guide, but other than that it’s just a lot of trial and error, and learning the maps. Winning (or even doing well) in games is super rewarding, and unlocking all sorts of weird cosmetic stuff is a great motivator to keep playing.